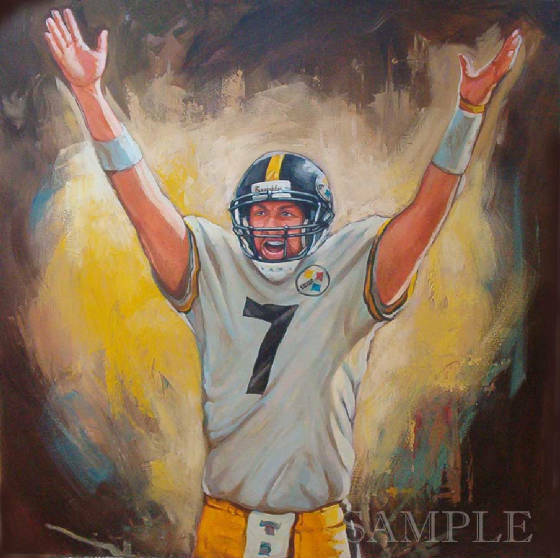 "BIG BEN AND THE BUS"
Congratulations to the Steelers and all their great fans! 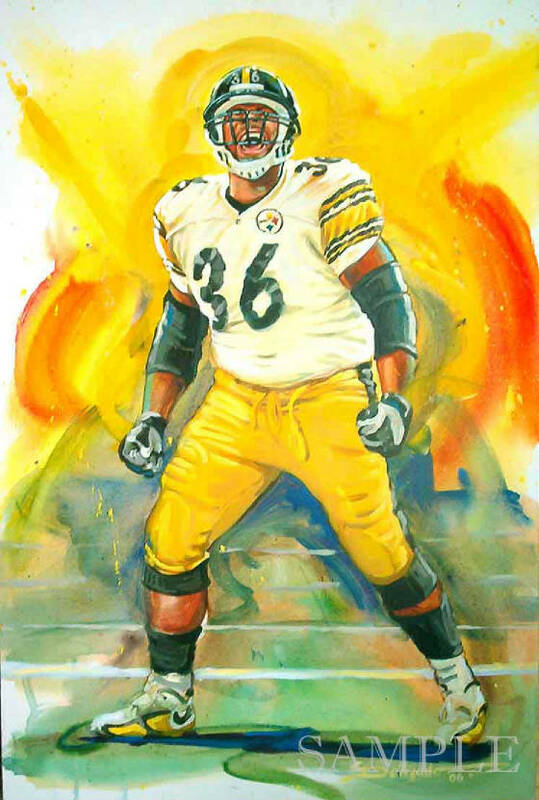 Imspired by their fabulous season, the artist has created these renditions of two of the heroes that led them to a Super Bowl ring! These works are both created in acrylic and are one of a kind. Inquiries on these and commissions to create originals of your favorite stars can click here to email the artist.